ASTANA, March 19. /TASS/. Kazakhstan’s President Nursultan Nazarbayev announced on Tuesday that he will step down after 30 years in power. “I made a decision to resign as president,” Nazarbayev, 78, said in his televised address to the nation. “This year marks 30 years since I assumed the post of the country’s supreme leader. I was given the honor by my great nation to become the first president of independent Kazakhstan,” Nazarbayev said. 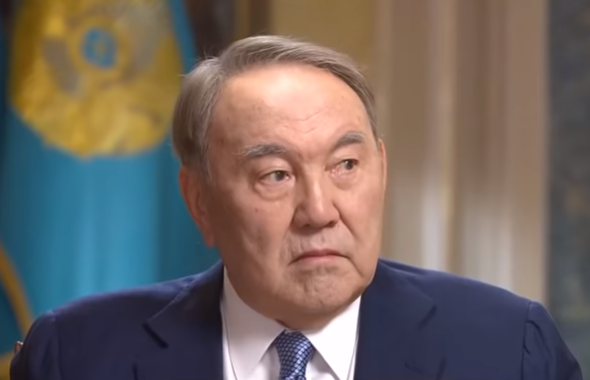 “In accordance with our laws, I’m given a status of the first president – the nation’s leader (elbasy in Kazakh), I will remain the Security Council’s chairman, who has serious powers to determine the country’s domestic and foreign policy in line with the laws,” Nazarbayev said in his televised address to the nation. The Kazakh leader said he would continue taking care about the country and the people. “As the founder of an independent Kazakh state, I see my future task in ensuring the assumption of power by a new generation of leaders, who will continue carrying out current reforms in the country,” he stressed.